Hang these personalized posters all over your walls! Place your company name out in the open so customers know right where you are. 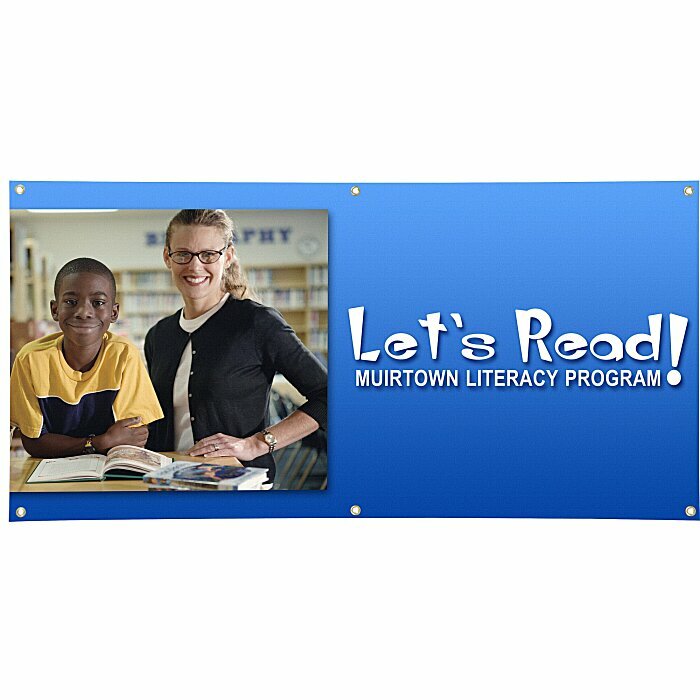 This glossy 60 x 121 cm (2' x 4') banner features your prominent message, printed on 13-oz reinforced scrim vinyl material. Comes with brass grommets at each corner for hanging. Top and bottom edges are finished with 38 mm (1-1/2") PowerTape™ for added reinforcement in the outdoors. Suitable for indoor or outdoor use at parades, trade show booths, fairs, and a host of other events. Take advantage of the full-colour imprinting that brings your message to life! 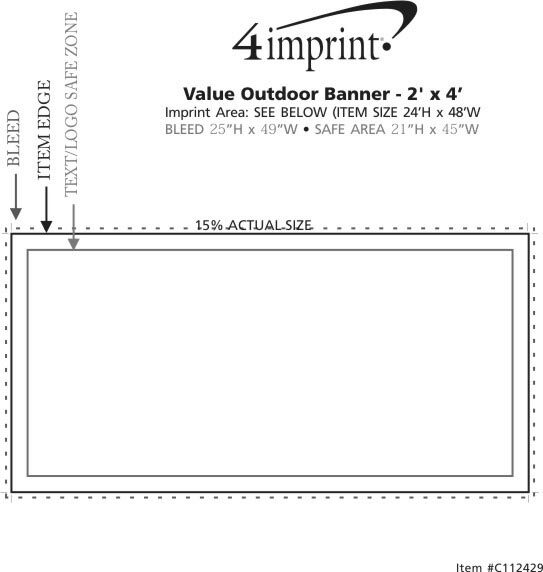 We also have additional banner sizes to select from; please contact a customer service representative for other options. Size: 60 x 121 cm (2' x 4'); finished size may vary slightly by up to 12 mm (1/2") per linear foot, but no more than 50 mm (2") in total. Your price includes a full-colour imprint on the front of the banner. * Excludes art preparation time, applies only to orders of 6 items or fewer.